Water damage can happen at any time, which is why you should only call on a professional you can trust for water damage repair services. KIWI Services offers Galveston water damage repair that is available 24 hours a day, 7 days a week, because we know that water damage always happens when you least expect. KIWI Services is bonded, licensed, insured, and is professionally certified by the Institute of Inspection Cleaning and Restoration (IICRC). We specialize in providing water damage restoration, water damage repair, & water extraction services in Galveston, TX. Whether your water damage was caused by flood damage during hurricane season, or your bathtub accidentally overflowed, KIWI Services can get your home back in working order. Upon arrival to your home, your KIWI technician will immediately begin the water damage repair process by extracting all standing water from the affected areas in your home. Then, your technician will thoroughly dry and disinfect those areas affected by water damage, while monitoring the moisture levels in your home to ensure that it’s completely safe for you and your family. KIWI Services will also provide temporary storage for your personal items while our technicians complete the water damage repair process. 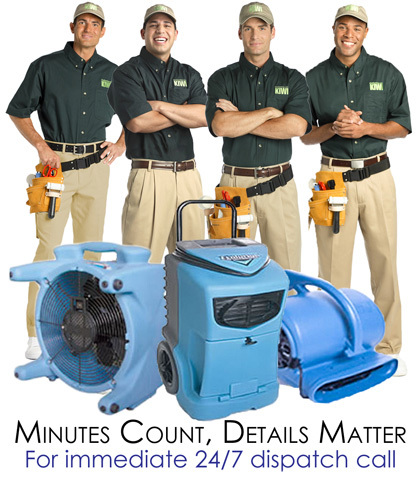 When your home needs immediate water damage repair, KIWI Services will be there to assist you right away. Our company is built on the foundation of providing excellent customer service in a timely manner, and treating your belongings as if they were our own. We will work directly with your insurance company and also guarantee all water damage repairs for up to one year after your service. 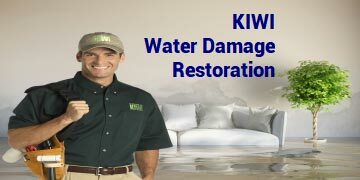 For more information about Galveston water damage repair, call KIWI today!